KP Quality Moving company has been serving the residents and businesses of Long Beach for over a decade. We off fair prices for fast, careful, and on-time service. We take care of every stage of the moving process including crating, packing and unpacking, disassembly/reassembly, and moving. KP Quality is your top choice for a reliable moving company in Long Beach. When it comes to local and long-distance moves, KP Quality is committed to customer satisfaction. We offer services to help you before and after the movie with partial and full packing and unpacking options in Long Beach, NY. This ensures the entire process runs smoothly from beginning to end. If you need assistance with packing, Kp Quality can pack up everything including large specialty items for Long Beach residents. We are sure to handle all items with care during the moving process, so your stuff is protected at no hassle to you. Kp Quality will box and wrap your belongings. Once you arrive at your brand-new home, we will unpack your belongings! Sometimes you only need to move one large item. We can deliver to storage facilities or a new residence. KP Quality can pack individual large items and can offer crating shipping for Long Beach residents as well. 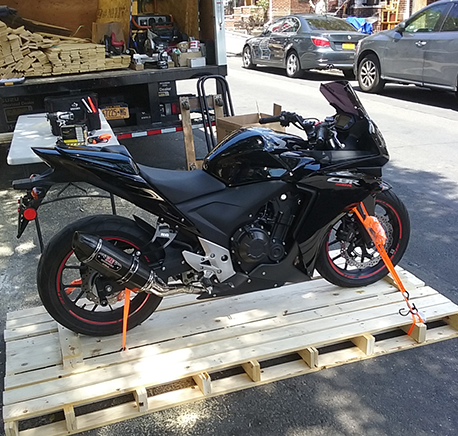 If you are concerned about valuable items, our specialized team in Long Beach NY can help crate and careful pack your items for transportation. If you have delicate or antique furniture, we will ensure that your pieces are delivered on time with care. Are you having trouble moving large, cumbersome items? 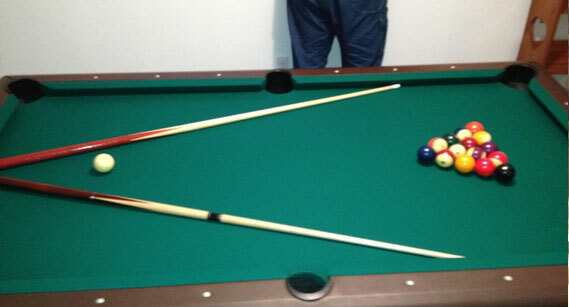 Pieces like pool tables, shelving units, and couched can be a nightmare to manage during a move! Many large pieces are purchased in pieces assembled, in the home, and then can’t fit back out through the door! 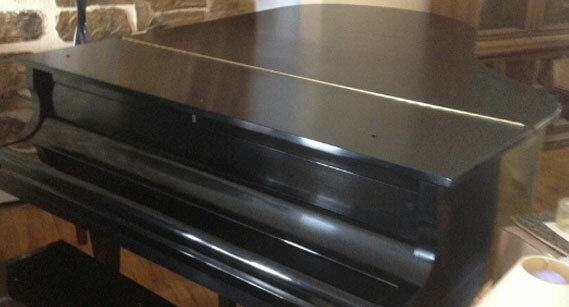 Kp Quality is willing to disassemble and reassemble your furniture for your Long Beach move. 1. To avoid a frustrating and expensive reupholstery, the material on a fabric or leather piece of furniture must be carefully removed. 2. Metal frames must be disassembled by loosening the joints which isn’t too complicated, however most wood frames have frustrating glued dowel joints. In taking apart the frames, it is easy to strip a screw which makes the frame nearly impossible to realign and therefore need further repair. 3. Our knowledgeable staff are very experienced in all types of both metal and wood disassembly. 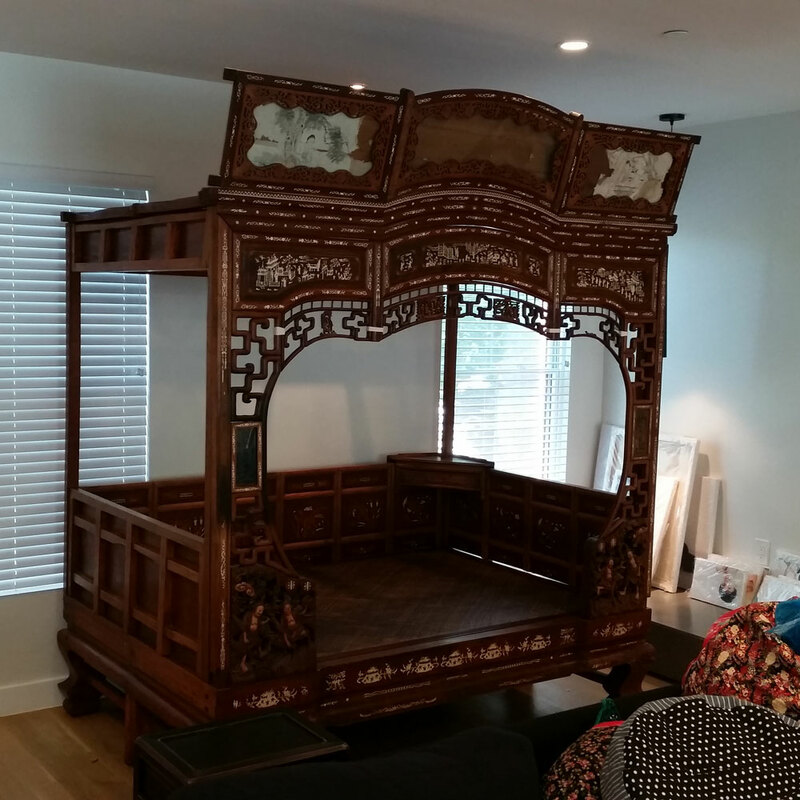 Our team is capable of saving your most coveted furniture. 1. KP Quality will move your disassembled furniture into your new home and restore it to its former quality or better. We begin by putting the frame back together and are sure to replace screws, dowels, bolts, adhesive, staples, and any fasteners. 2. Any fabrics or leather will be restored to the furnitures frame or cushions. 3. KP Quality experts will make your furniture is in the best quality by providing new glue, staples, or screws for extra support as needed. This will ensure the longevity and performance of your furniture! KP Quality Inc. will work with each individual client to ensure their needs are met. 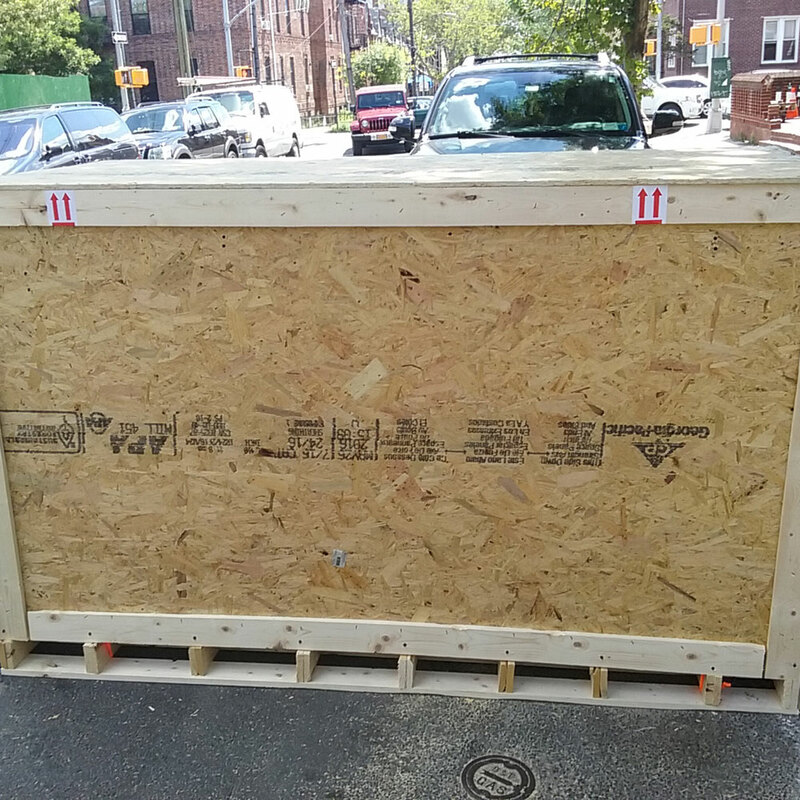 We will consider the weight, dimensions, and travel destination of your item and create a custom crate specially designed for your valuable item. 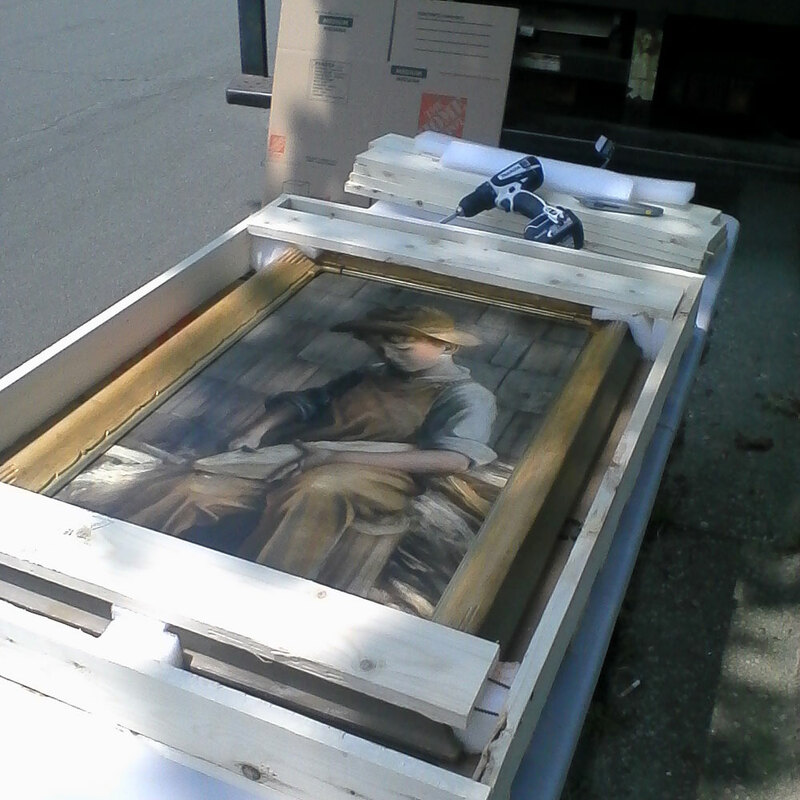 Kp Quality Inc. can also provide Long Beach residents and businesses on-site crating service. Our experts will visit your location and create a custom crate for your items. We will be sure your items are safe and secure for their transport to your new location. KP Quality Inc. can make arrangements for your move even if you are not in the Long Beach area. We can provide custom crates upon request and make special wooden shipping crates for domestic and even international use. If you have been searching for a reliable, trustworthy, and careful crating service in the Long Beach area, KP Quality experts will go the extra mile to ensure you are a satisfied customer. Whether your move is large or small, personal or for business, most people move many times. KP Quality Inc of Long Beach, NY will help you with your moving project- no matter what the size! Whether you are moving a few things into storage, or hauling your life across the US, our team of experts in Long Beach NY can make your move stress and worry free. KP Quality movers will offer you honest and accurate pricing for your move, no matter how large or small. We hold the highest standards for our moves and provide a quality service at a fair price. We are professional, reliable, and affordable. There is no need to worry, accidents happen, but KP Quality is a licensed and insured moving company! We are registered by the State of New York and Department of transportation. We will make sure your Long Beach move is a safe one! 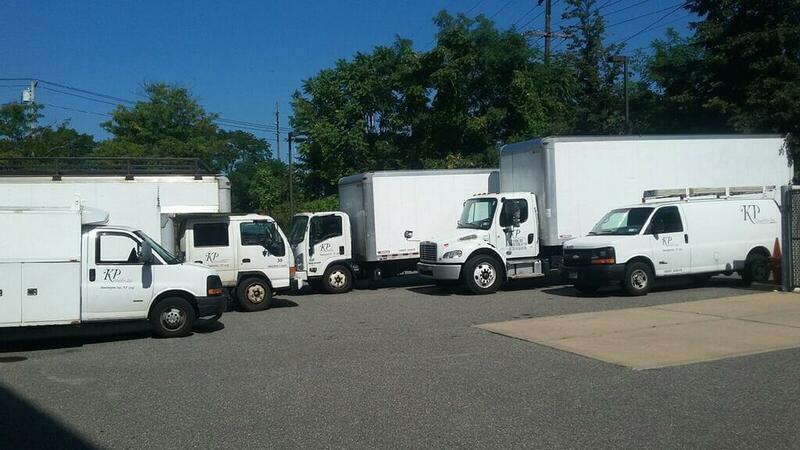 Kp Quality Inc. is a moving company in Long Beach, NY that is trustworthy and reliable. We make sure your items are carefully handled so that you can sit back and relax while you leave your stressful move to us.